Alnico alloys(Sintered Alinico magnets)make strong permanent magnets, and can be magnetized to produce strong magnetic fields. 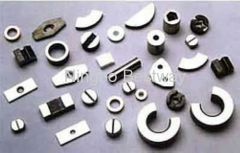 Of the more commonly available magnets, only rare-earth magnets such as neodymium and samarium-cobalt are stronger.Alnico magnets are widely used in industrial and consumer applications where strong permanent magnets are needed; examples are electric motors, electric guitar pickups, microphones, sensors, loudspeakers, traveling-wave tubes, and cow magnets. 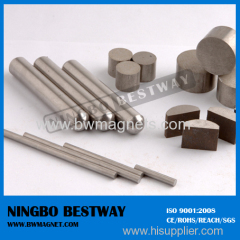 Bestway factory has specialized in producing and supplying various magnets and magnetic products for more than 8 years . AlNiCo magnets are characterized by excellent temperature stability and good resistance to demagnetization from vibration and shock. Group of Sintered Alnico magnets has been presented above, want more	Sintered Alnico magnets , Please Contact Us.